Before we announce our upcoming Autumn Winter 2018 range, I’d like to introduce you to a few changes we’re making to how we name and present our beers that we hope will work out better for us all. To differentiate between beer recipes we’ll brew season long and beer recipes we’re using to test new ideas, flavour combinations, and practices we’re adopting two different types of label formats. We’re also bringing back the v’s that worked so well for us all in our 2015-2016 DIPA series, to make it really clear that IPA v2 is different to say IPA v4, and that each v number represents a flavour change and most likely process changes too. Example labels are below, and show the season long “brewed-all-season” beers with a full wrap artwork, and the v series “one-off” beers within each style with a different crop of that full artwork. You’ll notice another significant change towards flavour profiling on our labels, along with process and technical information, and due in part to limited space on our labels, the removal of ingredient lists. Though there are many of you that know just what to expect from Citra as an ingredient, for example, there are many more people that we need to reach out to with flavour forward descriptions. Citra beers are great, but they’re great because of what Citra can and often does taste like, so we’re removing the middleman and getting to the crux with better and more useful descriptions. Only listing ingredients and not flavour profiles prevents us from celebrating the changes and nuances in our ingredients and recipes from season to season, and from crop year to crop year. When we decided to feature all our ingredients on our labels back in 2015 we were excited to showcase ingredients to help you all know exactly what was in your glass, and had an intention that listing ingredients would help you all understand the flavour profiles different hops, malts, or yeasts achieve. We’re very much of the opinion that a better approach is to focus on the unique flavour characteristics in each beer, both as a way of tying ourselves to ensure each version is indeed unique, and to help you all focus in on the aromatics, body, and aftertaste you enjoy the most. Hoppy beers have evolved a lot this past decade, and we’re keen to ensure you all know whether to expect piney, resinous, and crisp, dry hoppy beer, or hazy, juicy, tropical fruit forward hoppy beer. In the past six months we’ve felt like our description of our beers has fallen a little flat, and often replicated the ingredients list instead of communicate what we’re intending, or what you’re most likely to experience in your glass. In the early days of our brewery tap, back when our landlord restricted us to only a few hours each Saturday, our table menus outlined the aroma, mouthfeel or taste, and aftertaste of each beer. We’re just about to re-adopt the same approach at our taproom in Unit 9, and are keen to have our canned and bottled beer communicate the same. In addition to the shift we’re keen to make to the richness of flavour forward descriptions over the guess work and knowledge needed to decode ingredient lists, we also recognise that by putting all our ingredients out there with every development we make, we have made it easy for other breweries to follow closely in our footsteps. When it once took months or even years to find alternative versions of styles we’ve worked hard to popularise, in the past against initial dismissiveness amongst our peers, it now takes just days or weeks. We have put an incredible amount of work, research, time, and money into R&D and evolving flavour profiles as we featured our ingredients as best as we can, but we’ve been left feeling a little like we’re doing R&D for breweries out there that are yet to bring something new to the scene that isn’t just a riff on something that’s just come out days or weeks or months before. Our beers are so much more than a list of ingredients - they are labours of love, and the results of years of experimentation and process refinement from ingredient choice and sourcing, to process and ever more technical concerns. We’re of the opinion that sharing ingredients lists as fully as we have in the past may inhibit breweries around us in the UK, and further afield, from benefitting from the R&D, constant refinement, and sensory development that stands behind every excellent beer we’ve ever had the pleasure of drinking or making ourselves. Our web developers found themselves fully occupied with their day jobs many months ago, and we have struggled to find a way of taking our existing site and transforming it into something we could have greater control of in-house, so we’re thrilled to have launched a new website last week. We finally have a page devoted to all our season artists, a page where we can share some of our in house projects and R&D work, and a page coming very soon introducing the full team (there’s quite a lot of us now, and we all bring quite different skills and experiences to bear in our beers). We’ve also launched a new online shop, which will offer merchandise within just two weeks of launching the new site, and which we’re working hard on opening up to nearby EU customers and UK islanders as soon as possible. I know we said before we were trying to expand the reach of our online store, but the back end of our previous site made that near impossible. I’m thrilled that we’ll soon be able to ship beer to drinkers in neighbouring countries in Europe. Let’s hope the complete mess that is Brexit doesn’t scupper our plans just months after they bear fruit. It is worth noting that we have also removed the offer of free shipping on all orders. On our previous platform we were able to set a minimum order volume but this is no longer possible in our new online store, so we're offering free shipping on all orders £35 and above instead. This is also a decision we made after taking a serious look at our margins and the kind of order value that might allow us to cover the costs of shipping. We've introduced a number of lower-cost beers recently, which means the average cost per can has reduced and makes it more difficult to justify covering the cost of shipping based on a minimum number of cans rather than a minimum value. We have also introduced a 10% discount for all orders of £100 and above. 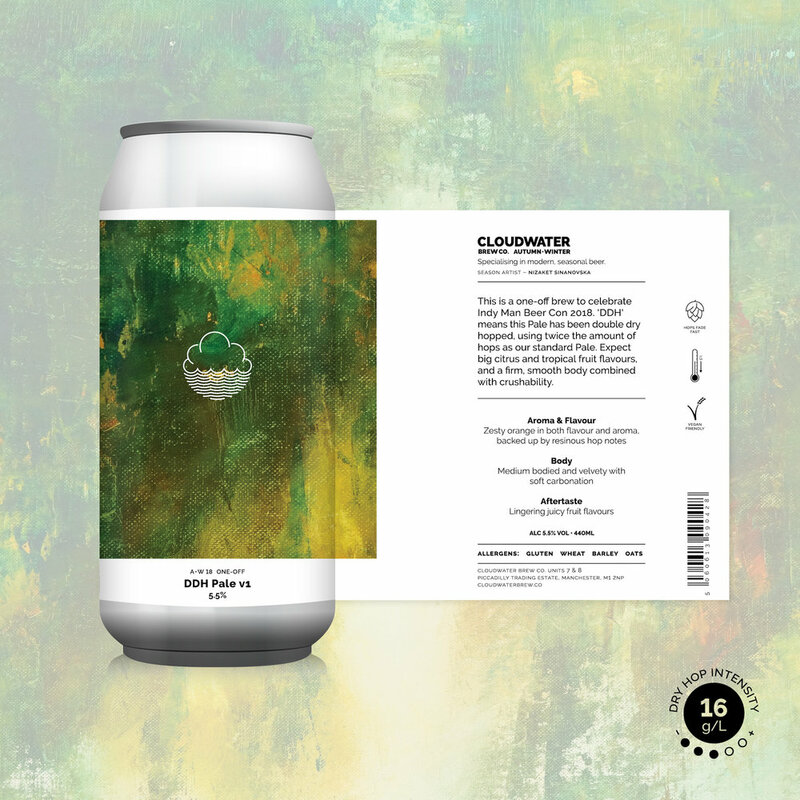 Paul, and the team at Cloudwater.